One of the characteristics of children with autism spectrum disorder is reduced social ability. It's difficult to study the possible causes of social impairment in children, but a new study shows that rhesus macaques with low sociability also had low levels of the peptide vasopressin in cerebrospinal fluid, as did children with autism spectrum disorder. "At this point, we consider vasopressin concentrations to be a biomarker for low sociability," said John Capitanio, professor of psychology at UC Davis and a research scientist at the CNPRC. 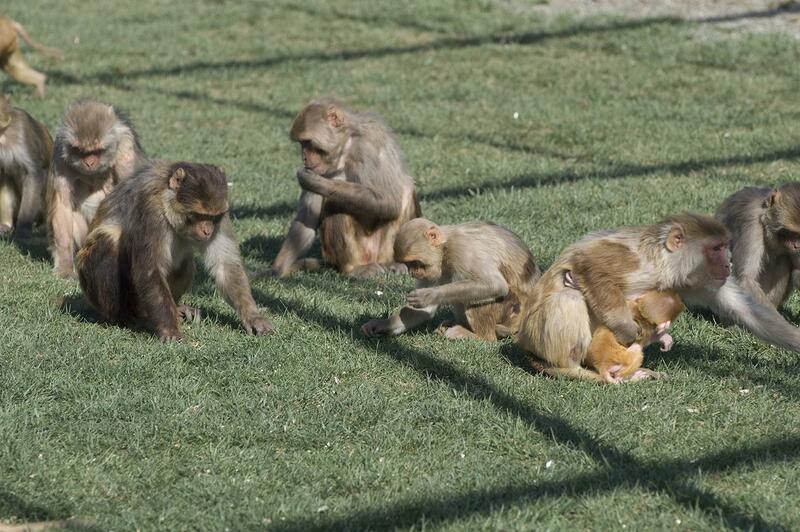 About fifteen percent of the animals are classed as "low social": they spend less time interacting with others than most macaques. Capitanio has previously studied how this natural variation affects the course of infectious disease. The researchers identified "high social" and "low social" monkeys and tested their blood and cerebrospinal fluid for a number of markers previously identified as possibly playing a role in autism. The one that jumped out was vasopressin in cerebrospinal fluid, which was low in "low social" animals. Other potential markers such as oxytocin were not significantly different, they found. Parker and Capitanio's team was able to confirm the link between vasopressin and sociability in a second cohort of monkeys and demonstrate in a third group that vasopressin levels in cerebrospinal fluid are stable over time. Parker and Capitanio plan to repeat the study with female animals and to treat "low social" animals with vasopressin to see if that changes their behavior. The monkey studies have particular relevance to humans because they are based on natural behavior, Capitanio said. "This is naturally occurring variation, we aren't making the monkeys behave in this way," he said. Other authors on the paper are: Erna Tarara, Valentina Sclafani, Laura Del Rosso, and Katie Chun at UC Davis; Joseph Garner, Ozge Oztan, Sean Berquist, Antonio Hardan, and Sonia Partap at Stanford University; Elliott Sherr and Jiang Li at UC San Francisco; and Michael Chez at Sutter Neurosciences Medical Group, Sacramento. The work was supported by grants from the NIH and the Simons Foundation.